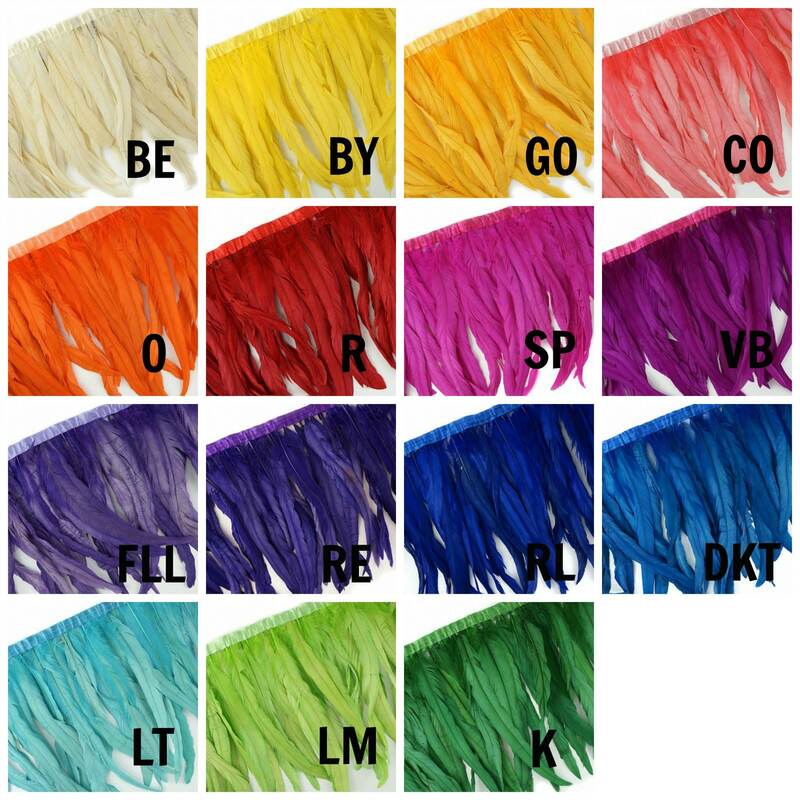 Bleach Dyed Coque Tail Fringe is approx 10-12" inches long on a 1 yard roll with matching satin-blend bias tape. 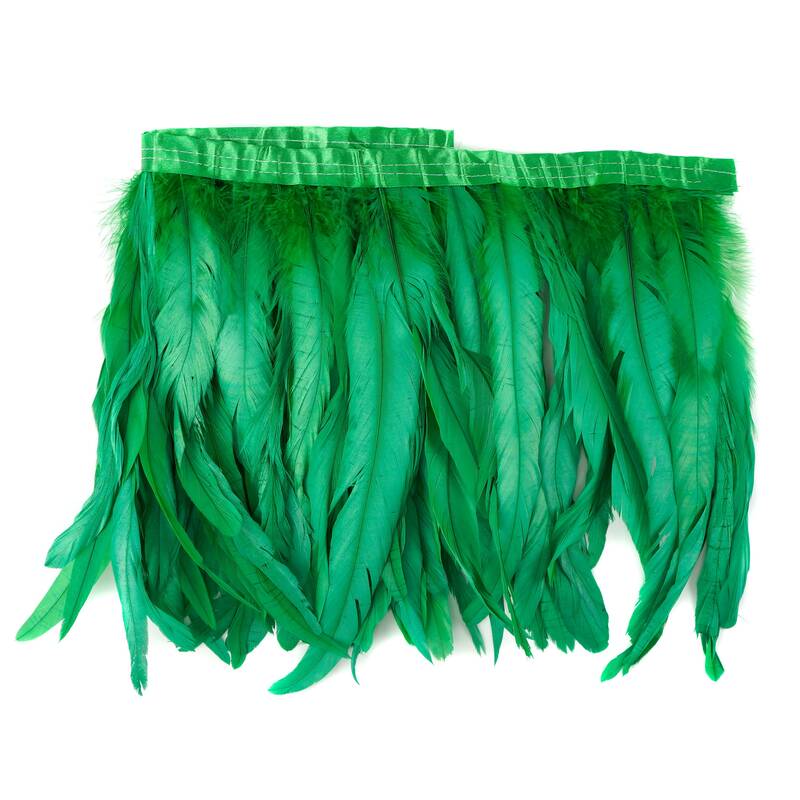 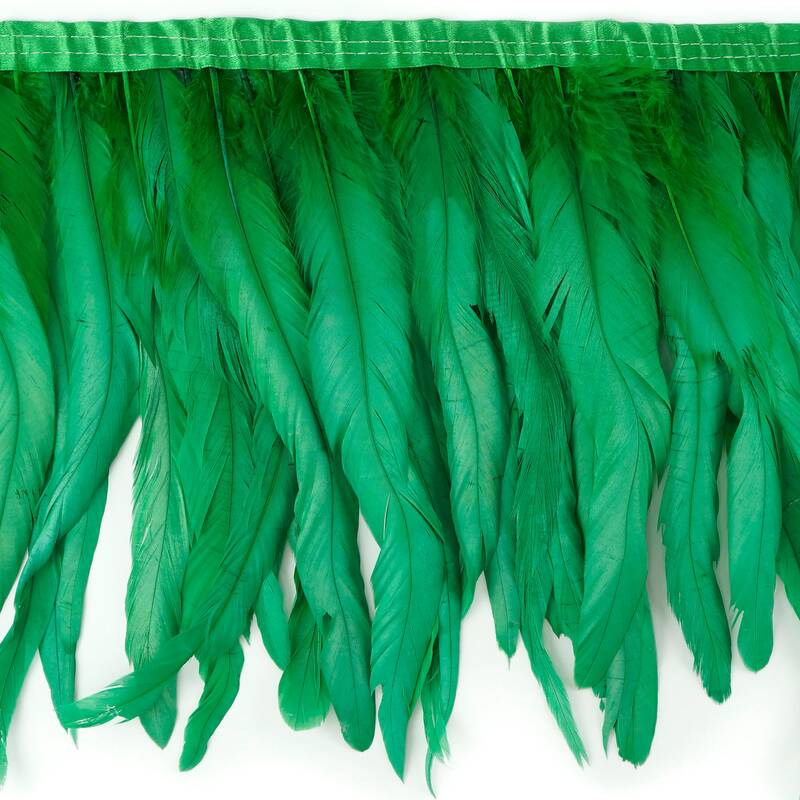 This handmade Feather Fringe is made from Iridescent Bronze Rooster Coque Tail Feathers that have been Bleached and Dyed, then sewn onto a satin-blend bias tape. 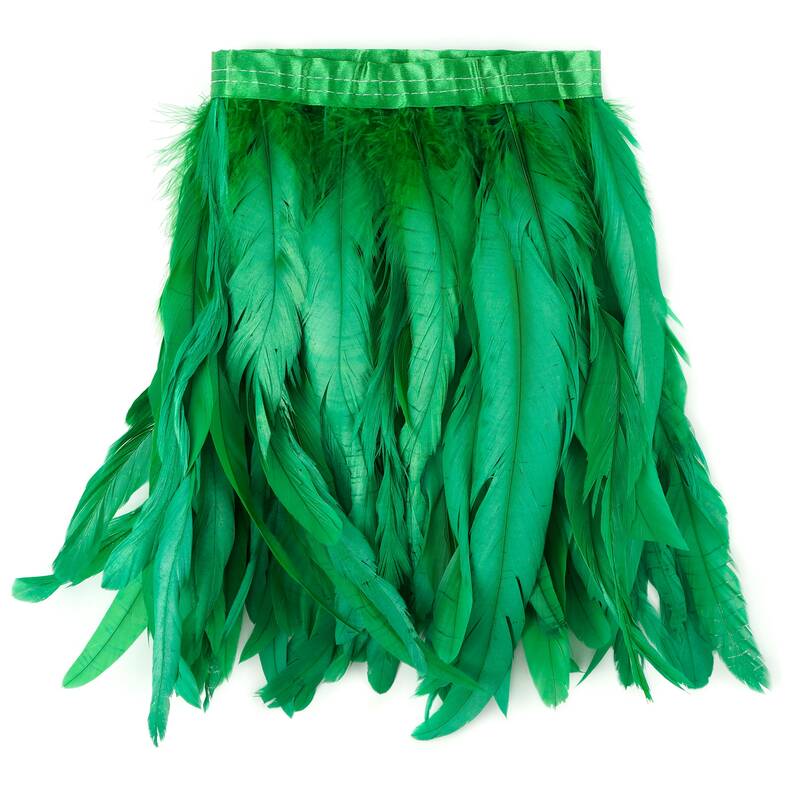 There are approx 10 feathers per inch. 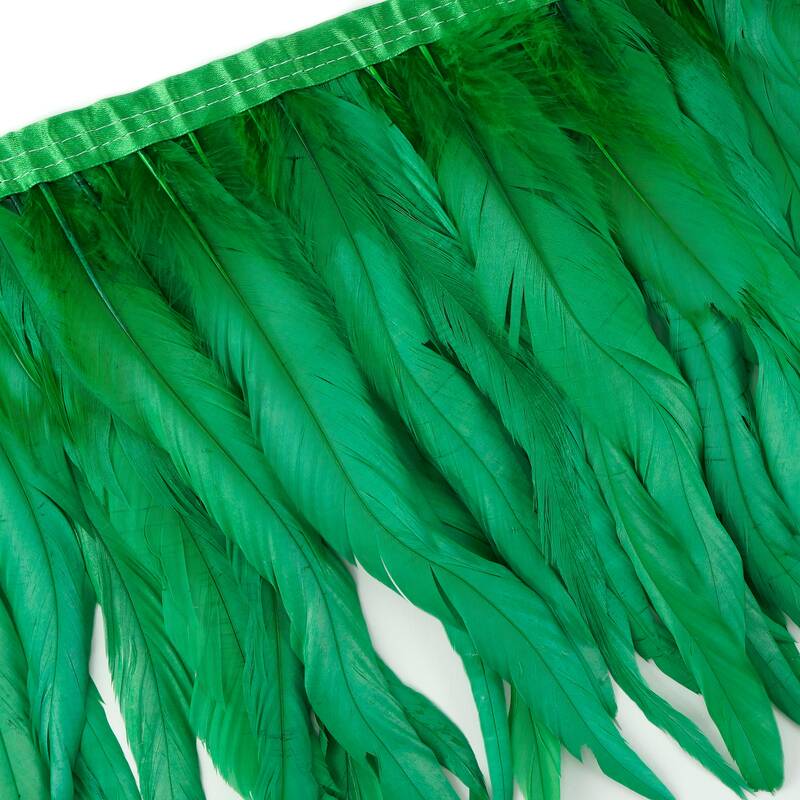 SUGGESTED USES: Dyed Feathers for DIY Feather Accessories, Dream Catchers, Kids Crafts, Floral and Home Decor, Feather Hat and Millinery Design, Costume and Mask Making, Cultural Dance Arts and Regalia, Wedding Bouquets, Boutonnieres and so much more... Our products are made with natural materials; therefore each item will have unique differences and variances.